Townhomes are some of the most highly sought-after properties on the Atlanta real estate market right now, and that’s especially the case here in the city’s one-and-only Buckhead neighborhood (which also happens to be one of the most popular places to call home these days too). No matter when you’re browsing the market, what current market conditions are, or whatever time of the year it happens to be, chances are you’ll find plenty of available options when it comes specifically to Buckhead townhomes for sale, but before you begin your search, let’s take a closer look at what you can expect from various townhouse communities in Buckhead. As you probably already know, Buckhead townhomes can be the perfect compromise to a single-family home, offering just as much living space in many instances, as well as the added comfort and convenience of being maintenance free. In addition, most Buckhead townhomes for sale will also include private garages, small patios, private balconies, and even private rooftop terraces as well, so you’ll still enjoy having at least some private outdoor space, but again, without all the on-going upkeep a larger backyard usually requires. What Else Can You Expect From Buckhead Townhomes For Sale? The other upside to townhouse living in Buckhead is that many communities offer plenty of additional features, like the security of a gated entrance or perhaps a range of lifestyle amenities like fitness centers, clubhouses, or even a community swimming pool sometimes. How Much Do Townhomes in Buckhead Atlanta Usually Cost? While Buckhead townhomes for sale are often high-end and expensive, many also start in the mid $200,000s, providing something for just about any home buyer out there. So while it’s likely you’ll see some townhomes in Buckhead exceed that $4 or $5 million threshold, also keep in mind there are much more affordable options in the neighborhood too. Already have a good idea which Buckhead townhome community feels like the right fit? 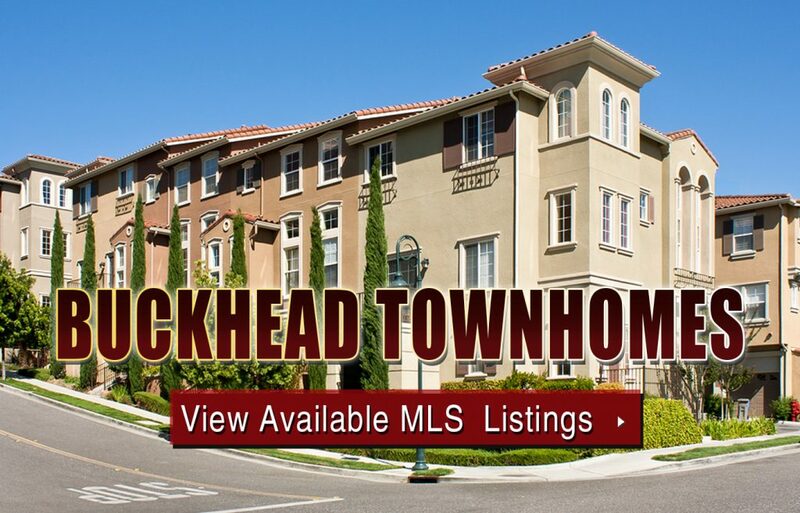 Break down your Buckhead townhome search by community using our comprehensive Buckhead townhomes directory below.